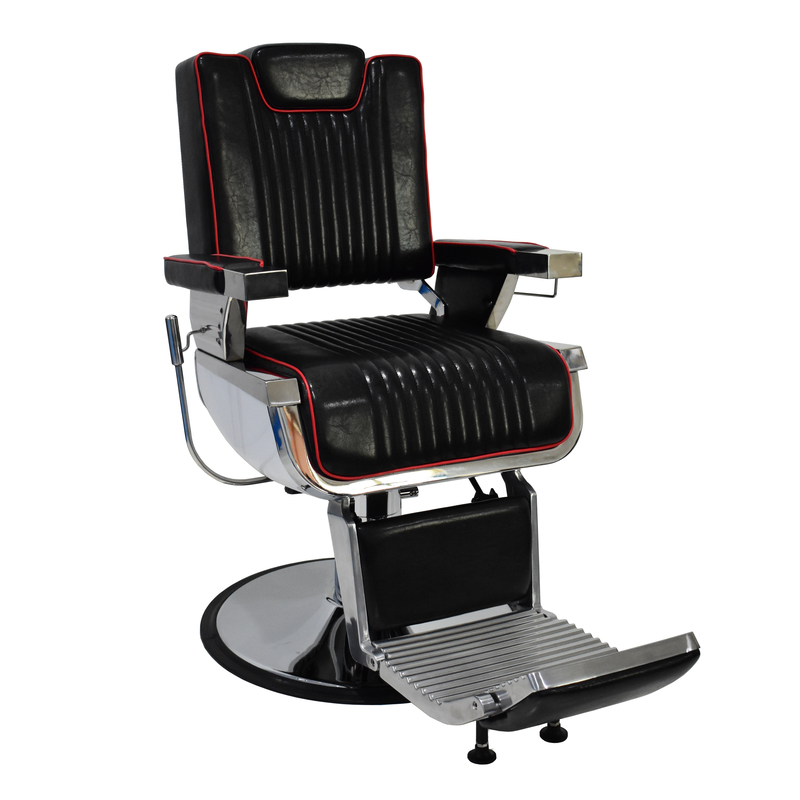 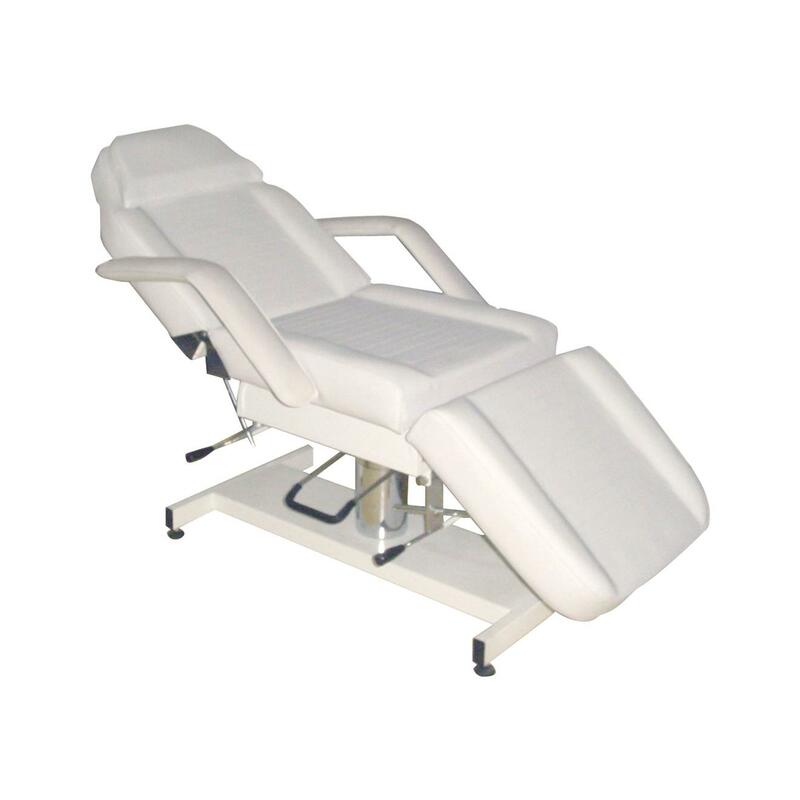 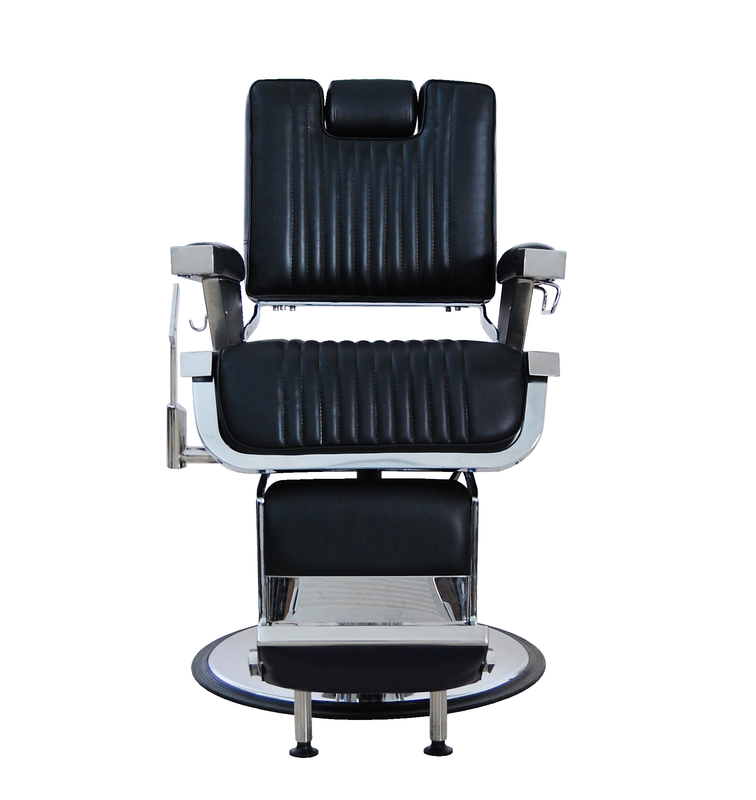 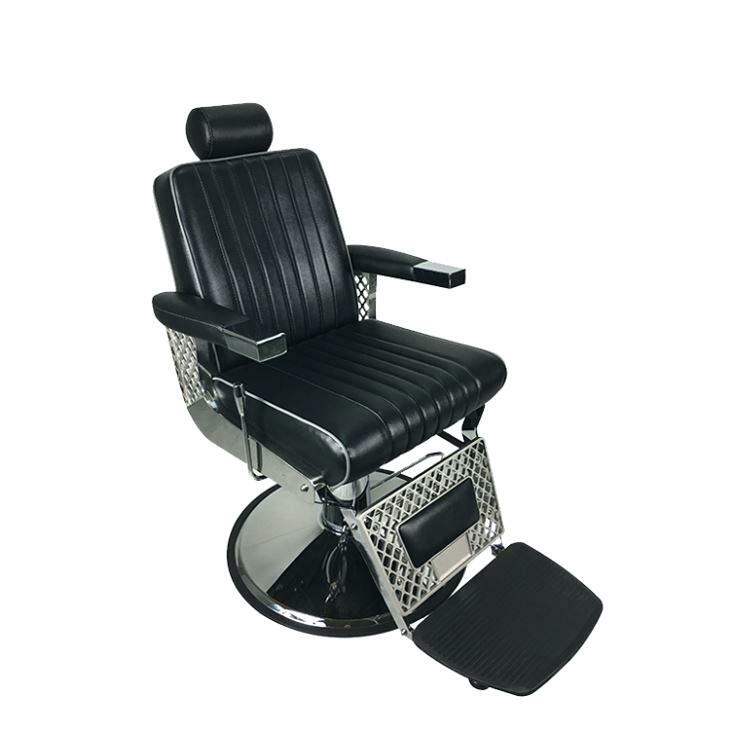 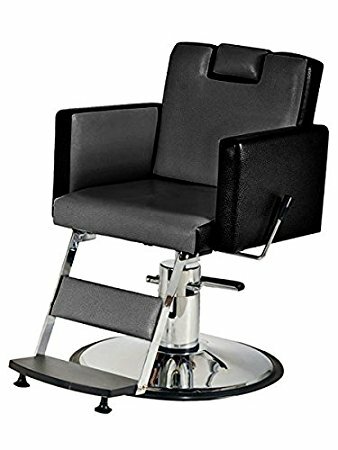 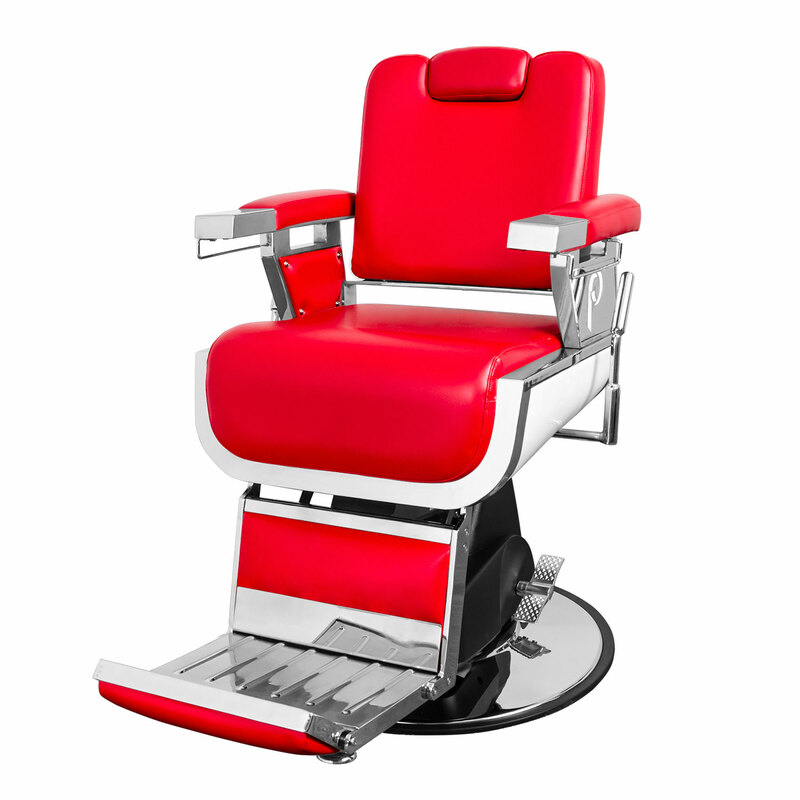 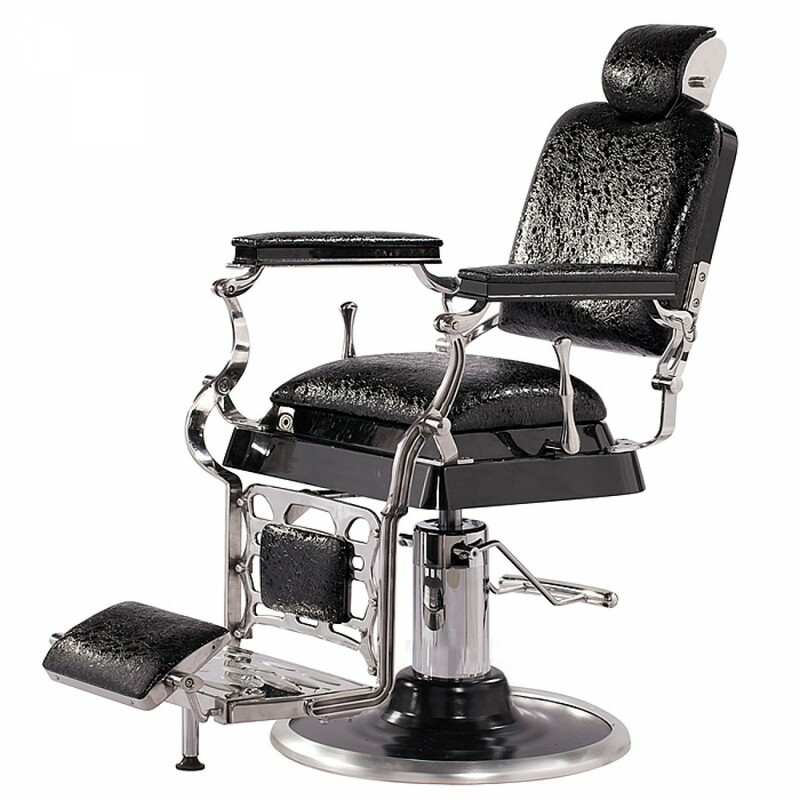 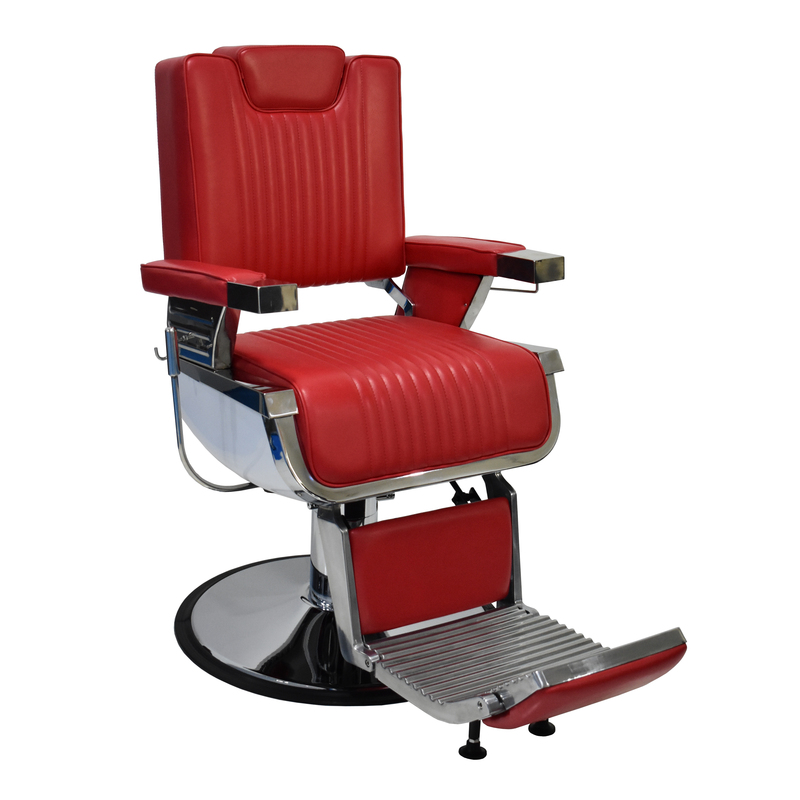 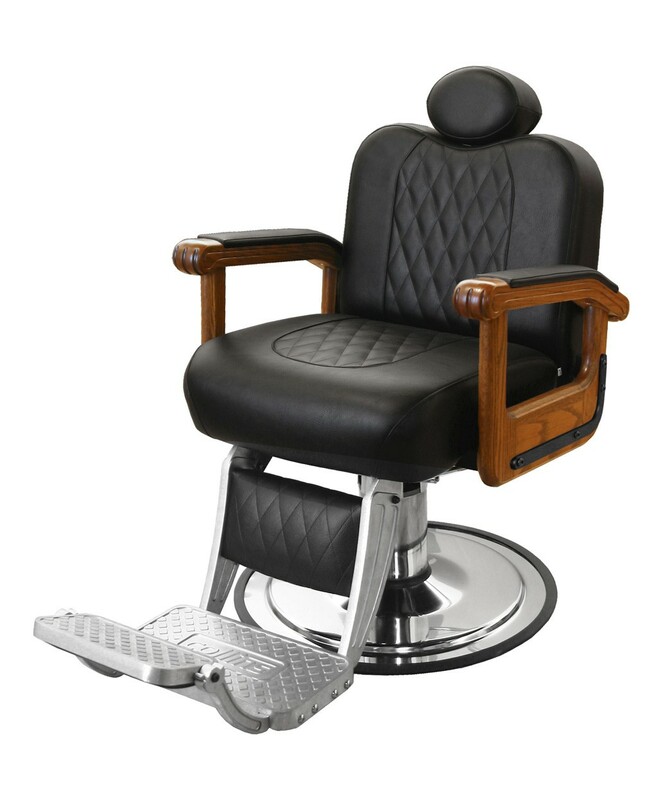 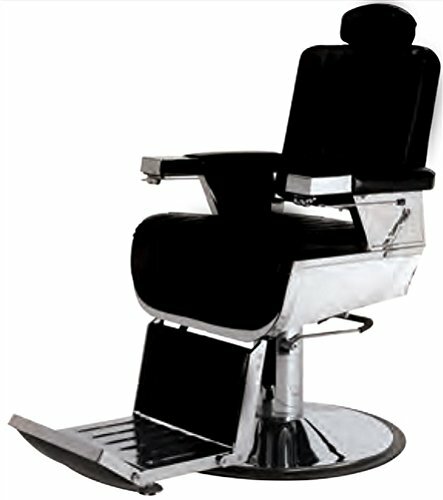 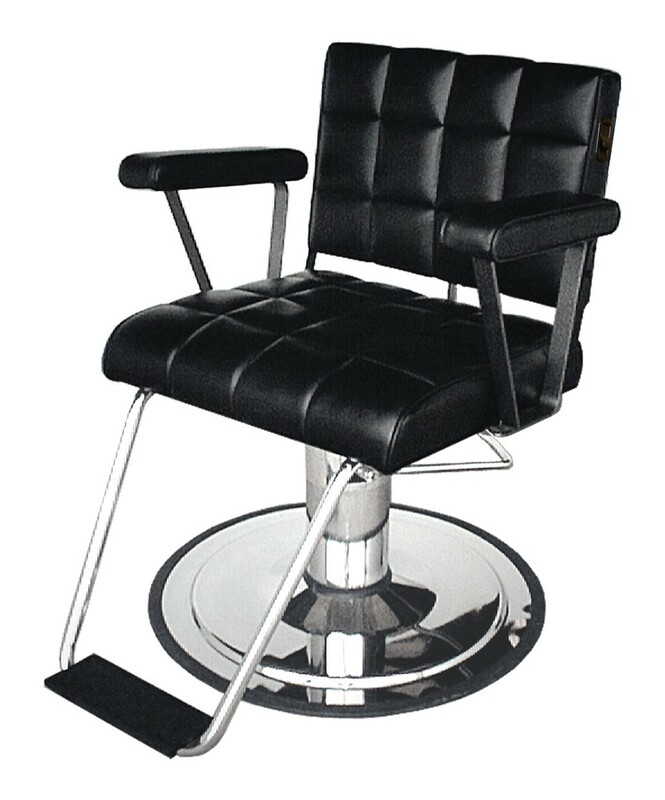 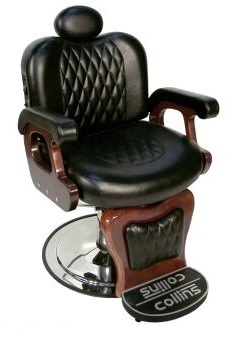 Collins #9050 Commander I Barber Chairw/ cast aluminum logo footrest, mahogany finished SOLID maple arms and footrest support, custom quilted upholstery, adjustable and removable headrest, oversized heavy-duty polished chrome hydraulic base. 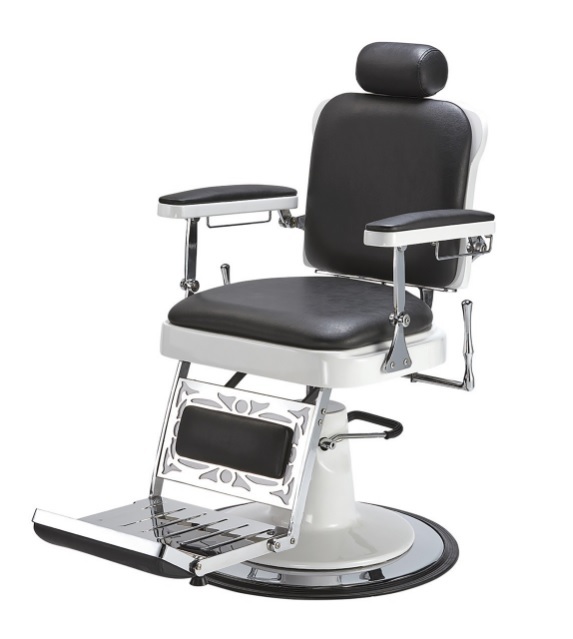 Like all Collins equipment, the Commander is covered by the beauty industry's best WARRANTY of 7.5 years. 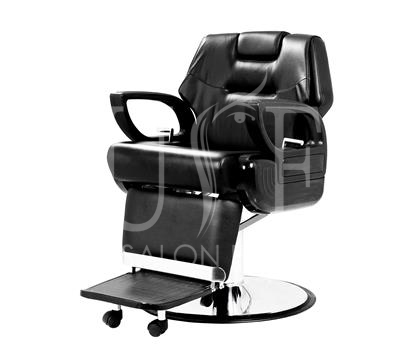 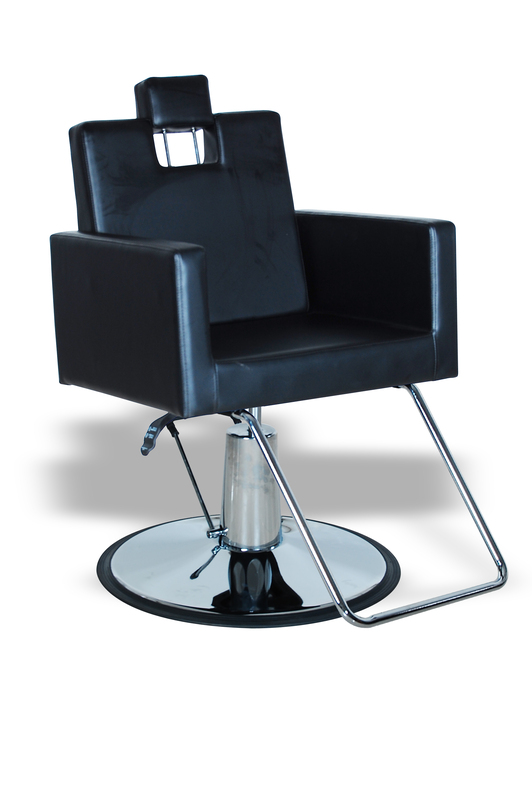 Chair has gas-cylinder controlled reclining back with BALL BEARINGS for smooth operation and durability. 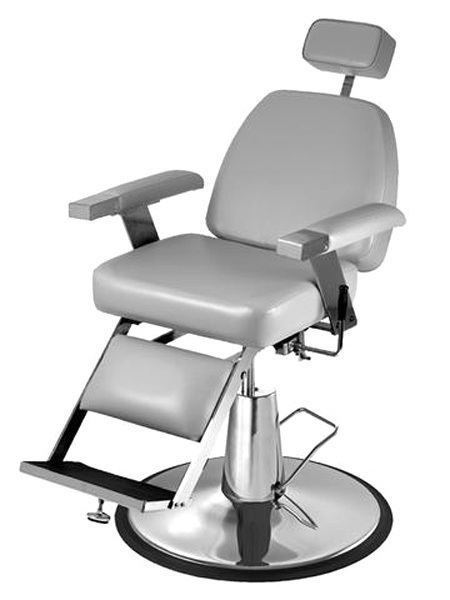 Footrest does not kick-out in concert with reclining back.